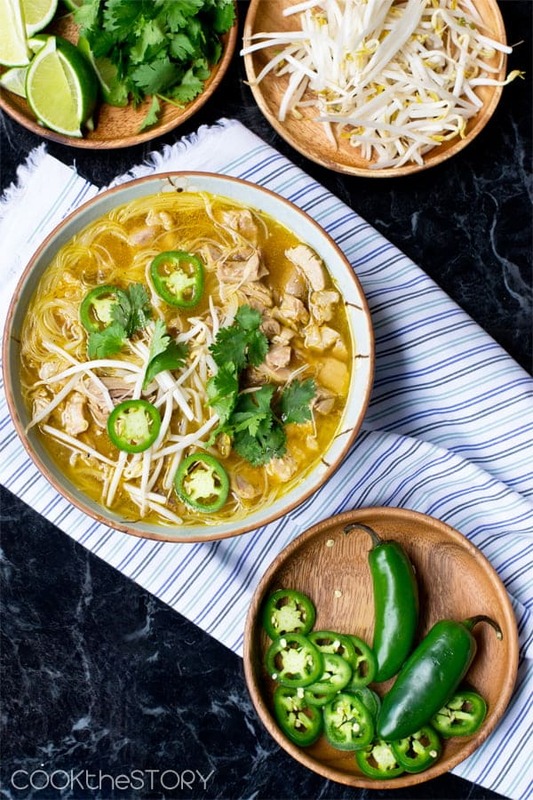 This Leftover Turkey Pho Recipe is ready in under 15 minutes but you’d never know it. 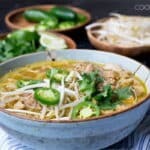 It has huge depth of flavor, just like traditional Pho. 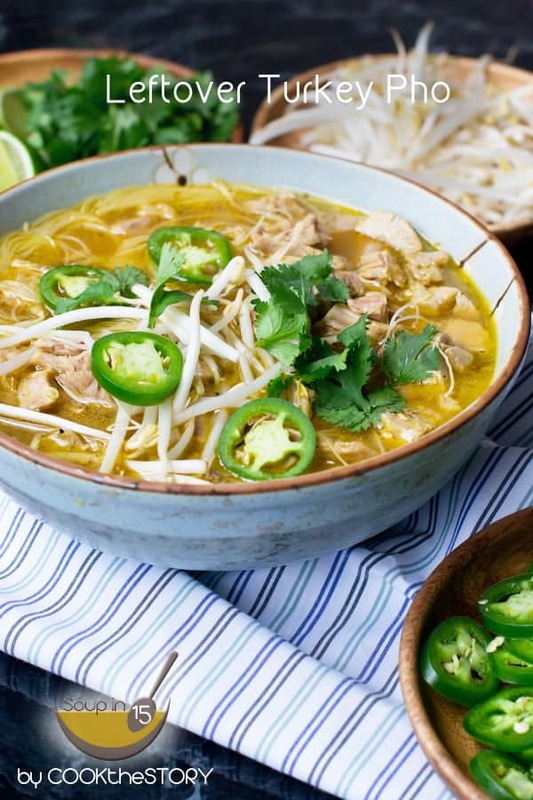 Do you know the correct pronunciation for that Vietnamese noodle soup spelled P-H-O? It’s actually pronounced Fa. As in the Deck the Halls song: fa-la-la-la-la la-la-la-la. Well, almost. Not quite. You can hear someone saying ‘Pho’ correctly here. I’ve known the correct pronunciation for a long time. But I hesitate to use it because when I do nobody knows what I’m talking about. Inevitably somebody will say, “Oh you mean ‘faux’! Why are you calling it ‘fa’?” Then I have to explain what the correct pronunciation is and I feel like a pretentious fop. Whether you call it faux, fa or play it safe by calling it Vietnamese Noodle Soup, it’s tasty stuff. But I don’t usually make it at home because the traditional authentic Pho relies on a time-consuming process, which you can read about over here. Instead of that long version, I wanted to do a quick and easy soup that uses up your leftover turkey from Thanksgiving. So I sped things up by scorching some aromatics in a pot (rather than roasting them slowly) and then adding broth to them to extract the flavor. 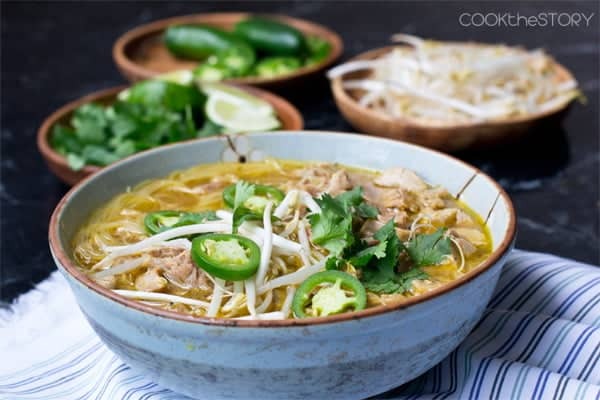 The result is a rich and flavorful broth to which you add your leftover turkey to warm through. And then you serve it with soaked rice noodles and all the usual fixings like cilantro and/or basil, lime, chilies and bean sprouts. If you don’t have leftover turkey, use leftover chicken or rotisserie chicken. You can instead turn this into a beef pho by using beef broth and adding very thinly sliced raw beef instead of the turkey. It will cook through in the same amount of time. Easy! The SouperTip for this soup, the thing that makes it so delicious so quickly is the fish sauce. Vietnamese fish sauce is a very pungent liquid that you store in your refrigerator. And then, anytime you’re making a soup or sauce or gravy and it seems to be lacking a certain meaty flavor, add a few drops of fish sauce. It won’t make it taste like fish. It won’t make it taste like anything. It just adds a subtle background meatiness that it hard to achieve in other ways. To get more ideas for making soups delicious quickly, head over here. If you want a nice salad to serve with this soup, you should also check out this great Asian salad recipe. Measure the chicken broth into a large microwave-safe bowl and put it in the microwave for 8 minutes. While the broth heats, measure 1 tablespoon of the oil into a Dutch oven or large pot over medium heat. Add the cinnamon sticks and cloves. Peel and quarter the onion and add it as well. Leave the peel on the ginger but cut it into 4 pieces. Add it as well. Turn the heat to high and let everything cook and scorch a bit. While the aromatics are scorching, put your kitchen faucet on for hot water. Put the rice sticks into a large bowl and top with about 12 cups of the hot tap water. Add the remaining tablespoon of oil and swirl it around. Keep stirring the aromatics occasionally and letting them darken until the broth has finished heating. Until then, get the soup toppings ready. Pic about 1/2 cup of leaves off of the cilantry and put them in a pile on a large plate. Add the bean sprouts next to them. Trim the stem end off of the jalapeno and slice it thinly. Put the rings on the plate next to the bean sprouts. Cut the lime into wedges and add those to the plate as well. Once the broth is finished heating, pour it over the scorched aromatics. Add the salt and stir. Cover and bring it to a boil. Reduce heat to low and simmer for 3-4 minutes. Chop the turkey into small cubes. Use a slotted spoon to remove and discard the aromatics from the broth. Add the turkey to the pot along with the fish sauce. Let it simmer to heat through. Drain the noodles. Divide them among 4-6 soup bowls. Ladle the turkey and broth over top. Serve the plateful of toppings alongside for people to add as they'd like. 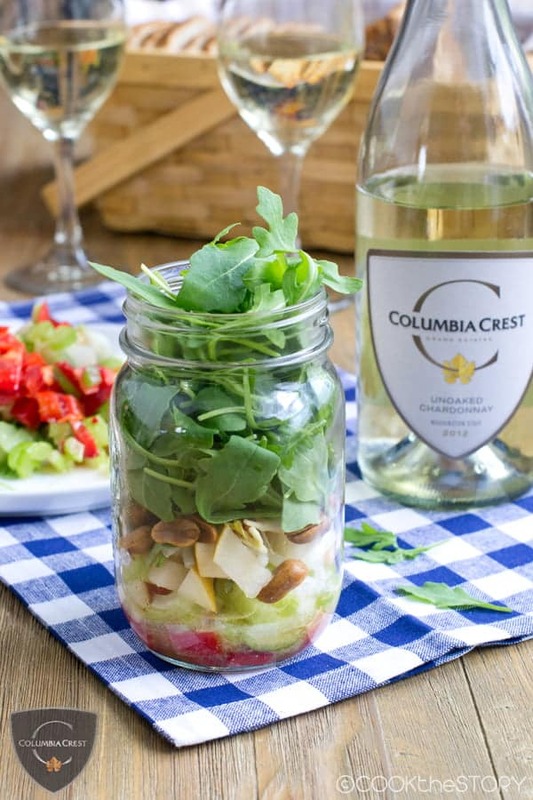 If you’re looking for more creative ways to use your leftover turkey, try these recipes by my friend Elise over at Simply Recipes. Or, try this! Follow the recipe over here for Vietnamese Bahn Mi Tacos. But instead of raw pork tenderloin, use your fully cooked leftover turkey. Everything will be exactly the same except you only need to heat the turkey skewers until the meat is heated through since it is already fully-cooked. The onion slaw on these tacos, as well as the garlic lime mayo, are out of this world and you would never know that you’re eating simple leftovers!